Summary: Lucky and her husband, Krishna, are gay. They present an illusion of marital bliss to their conservative Sri Lankan–American families, while each dates on the side. It’s not ideal, but for Lucky, it seems to be working. She goes out dancing, she drinks a bit, she makes ends meet by doing digital art on commission. But when Lucky’s grandmother has a nasty fall, Lucky returns to her childhood home and unexpectedly reconnects with her former best friend and first lover, Nisha, who is preparing for her own arranged wedding with a man she’s never met. As the connection between the two women is rekindled, Lucky tries to save Nisha from entering a marriage based on a lie. But does Nisha really want to be saved? And after a decade’s worth of lying, can Lucky break free of her own circumstances and build a new life? Is she willing to walk away from all that she values about her parents and community to live in a new truth? 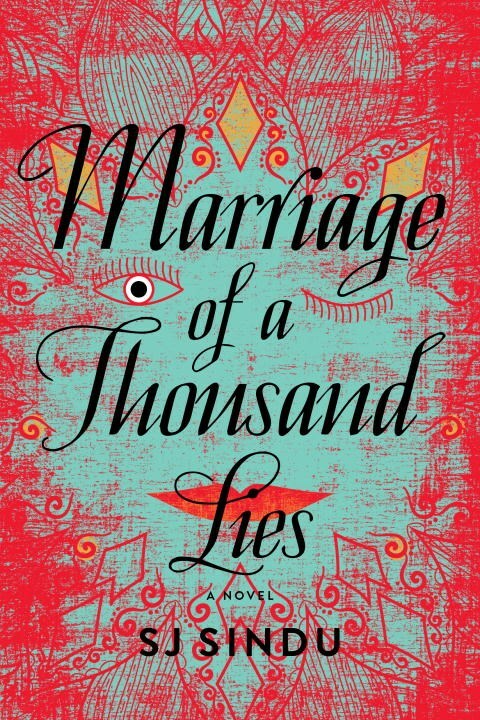 As Lucky—an outsider no matter what choices she makes—is pushed to the breaking point, Marriage of a Thousand Lies offers a vivid exploration of a life lived at a complex intersection of race, sexuality, and nationality. Review: Lucky is a disappointment to her mother as a Sri Lankan daughter, not because she's a lesbian, but because she's just not the responsible and respectful daughter that she's expected to be. If her mother knew that she's been in love with her best friend Nisha for years, it would probably kill her. So we see Lucky hiding her identity from her mother in two ways. She's married to Kris to give the appearance of a "decent" married woman and hides her unemployment, though technically selling her art helps, but isn't a respectable career to her mother or community. Lucky is content with playing out these lies in front of mother while frequenting bars at night with her husband to pick up women and men (women for her, men for him).But when an opportunity to be with Nisha, whom she'd lost contact with shortly before her sham of a wedding happened, presents itself, Lucky finds herself ready to kick open the closet door. What does that mean to the others around her? What does this do to Kris, whom she married partially to give her cover, but also so that he could legally stay in the country? What does this mean for Nisha whose wedding is just days away? What does it mean for Lucky's mother who has already lost one daughter because of her unwillingness to accept who she was and whom she loved? 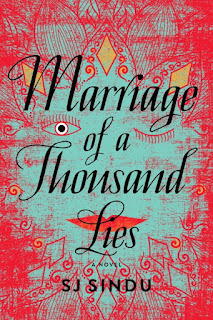 Marriage of a Thousand Lies is what happens when culture and sexuality collide and Lucky, Nisha and Kris are sitting in the intersection trying to navigate it. This isn't a can't put down book, but it does prompt to you to think about ways in which you might have hidden aspects of yourself to make others feel comfortable or less judgmental. Is it more important that you be with happy with yourself or is it more important that your parents/family/friends/culture are happy with who they perceive you to be?